January 27, 2012  Jobless college graduates regularly march through the streets at appointed times, wearing color-coded vests. It's all part of an effort to secure a government job. 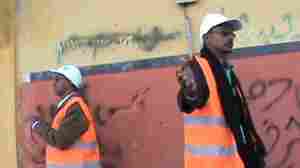 But critics say that creating more government workers is not a solution to Morocco's economic woes. January 22, 2012  An Islamist party heads Morocco's newly elected government, part of a wave of Islamist election victories following uprisings across North Africa. But unlike in Tunisia and Egypt, Morocco's Islamists came to power as a result of reforms by a monarch, not revolution in the streets. 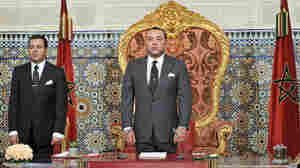 January 20, 2012  Morocco's King Mohammed VI responded swiftly last year to protests. He offered up a series of reforms, including changes to the constitution. But activists say the changes were limited, and they continue to push for more reforms. Is The Arab Spring Good Or Bad For The U.S.? January 9, 2012  For decades, the U.S. sought stability in the Middle East. But the upheavals of the past year have left the region in flux, and the U.S. is trying to define a new policy for dealing with changes that are still playing out. 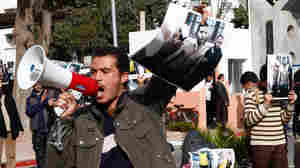 January 6, 2012  The opposition movement in Morocco adopted the music of provocative rapper Mouad Belrhouate. 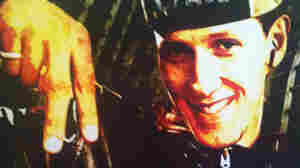 Now, supporters say his arrest and trial are attempts to silence him. Despite recent reforms, activists say Morocco still has a long way to go. January 4, 2012  A major factor in the Syrian revolt is the battle between sectarian groups. The Assad family and the minority Alawites have held the top jobs for decades, and feel they would be trampled if the majority Sunni Muslims come to power. These sectarian tensions are never far from the surface in the Middle Eastern nations going through upheavals. January 2, 2012  The tiny Persian Gulf state of Qatar has deep pockets and a big microphone in the form of its news network, Al Jazeera. In recent months, those assets have been used to propel the Arab Spring forward. 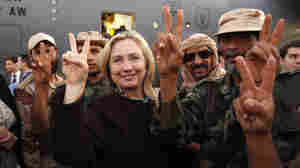 Qatar has supported rebel movements in Libya and Syria, and is promoting a "Marshall Fund" for Oman, Morocco and Jordan. The country's emir has close, personal relationships with the emerging Islamist leaders from Casablanca to Cairo — and meanwhile provides a home to the largest U.S. military base outside the United States. December 29, 2011  An Arab League monitoring mission is visiting Homs and Hama, major centers of Syria's anti-government uprising, and witnessed violence firsthand. Activists say at least 40 protesters were killed by security forces Thursday. The presence of the monitors has emboldened the protesters, who are chronicling their struggle in videos. December 27, 2011  Arab League monitors visited the central city of Homs, an opposition stronghold, besieged and under bombardment by the Syrian army until the monitors showed up. Syrian army armor was withdrawn from the city streets ahead of the visit, but activists say they expect a resumption of the army offensive as soon as the monitors leave. They also complain that they have not been allowed to meet with the Arab League team. 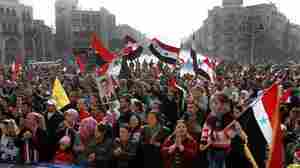 December 27, 2011  Syria began withdrawing army tanks Tuesday from the restive city of Homs, an opposition stronghold. There, doctors often treat injured anti-government protesters in an underground network. December 23, 2011  Two bomb blasts in the Syrian capital of Damascus Friday left at least 40 dead and many more wounded. 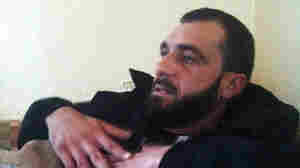 State-controlled media say suicide bombers from al-Qaida targeted government installations. It was the first attack of its kind since the Syrian uprising began in March. December 16, 2011  A new Middle East was on display a few weeks ago when the Arab League approved an unprecedented package of sanctions against Syria. But the agreement is already falling apart, frustrating many in the region. December 13, 2011  Srdja Popovic was a key figure in the 2000 revolution in Serbia, and in recent years he's been providing training to other would-be revolutionaries. 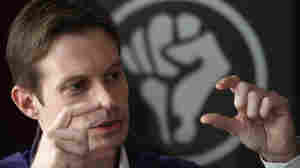 His pupils include young Arabs who have played leading roles in uprisings in their countries during the past year.